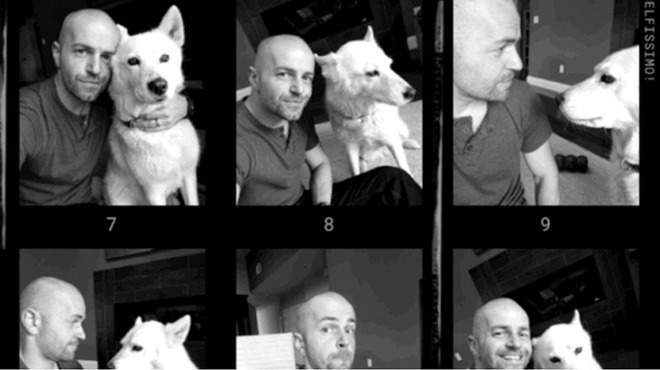 The first app, called Selfissimo, automatically snaps a black-and-white photo when its user stops moving, an action that is translated as striking a pose. Users tap the screen to start a mock photoshoot. Text prompts tell users to strike poses, which are captured when the app determines user motion has stopped. Tapping the screen a second time stops the process and generates a contact sheet of all images taken during the shoot. Users can elect to save individual images or the entire collection to Photos. Selfissimo is avaialable on both iOS and Android. A second iOS-only app called Scrubbies lets users manipulate the speed and direction of captured video by "scratching" it like a DJ scratches records. After capturing video in the app, users can preview the footage by scrubbing back and forth with one finger. Performing the same scrubbing operation with two fingers captures playback for saving or sharing. Google also introduced an Android-exclusive app that uses computer vision, object recognition and other advanced technologies to pick out still images from a video and place them in a single-page comic layout. Aptly called Storyboard, the software chooses interesting video frames and applies them to one of six comic book-style layouts. Google is asking users for feedback on its appsperiment releases so it can further refine its computer vision and AI technologies.